The Lofts on Broadway are the perfect downtown apartments for professionals and graduate students. 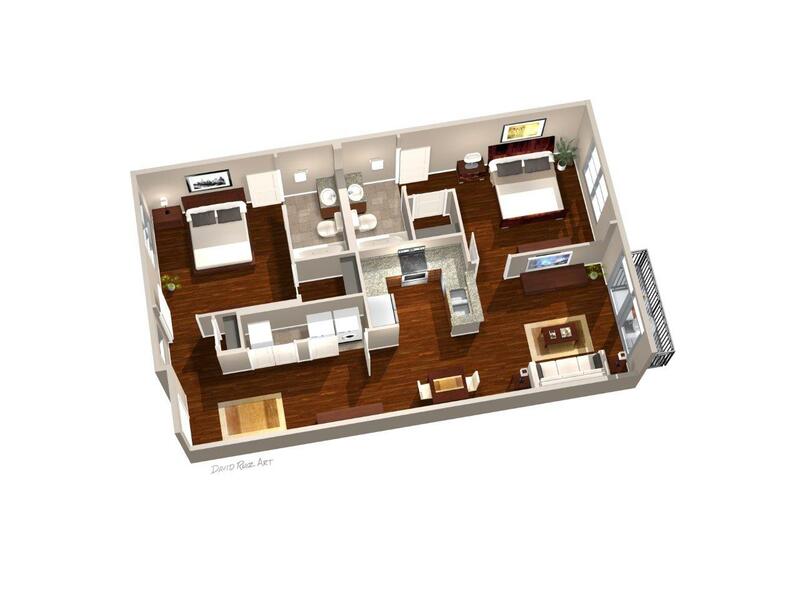 Apartments are available in both 1 bedroom and 2 bedroom units. Each of The Lofts on Broadway’s apartments provides upscale amenities, including: a flat screen television, washer and dryer unit, brand-new stainless steel appliances, wood floors, granite countertops, private bathrooms with Jacuzzi tubs, high-speed internet, cable and more! 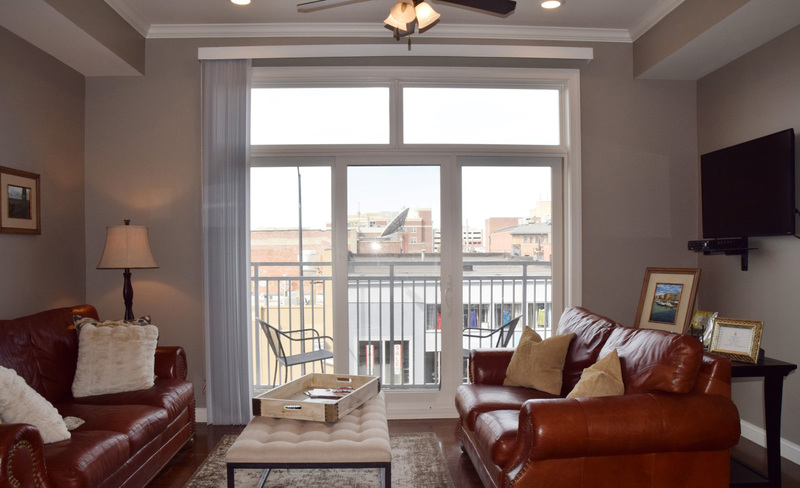 Plus, each apartment comes with a balcony with an amazing view of downtown Columbia. Corporate discount offered to tenants at Wilson’s Fitness in The District! 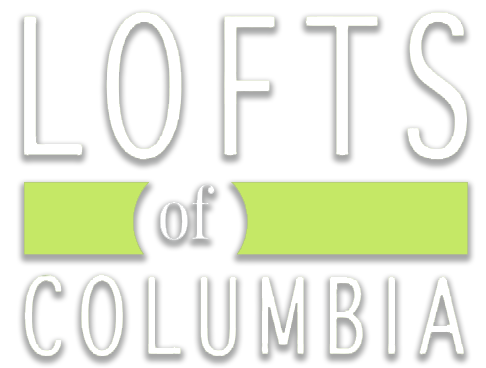 Want to learn more about The Lofts on Broadway? 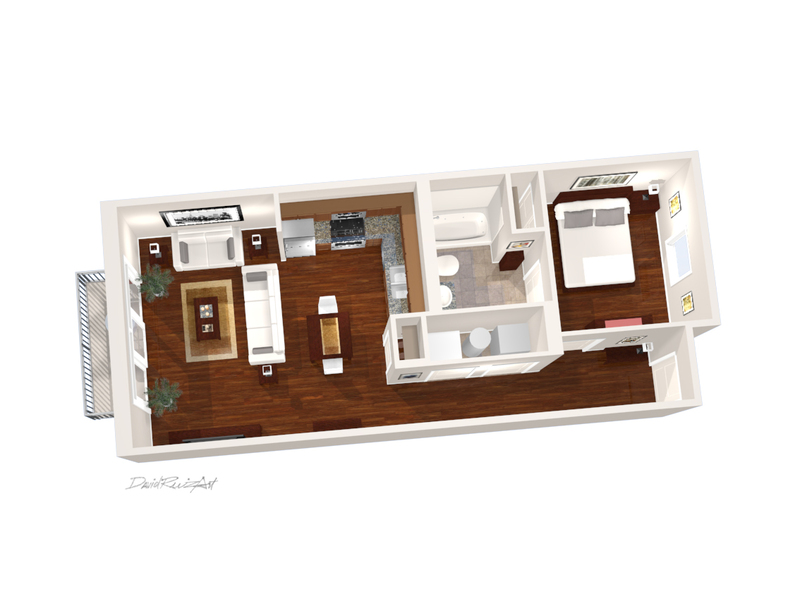 Be sure to view our 3D gallery highlighting our luxury apartments downtown. 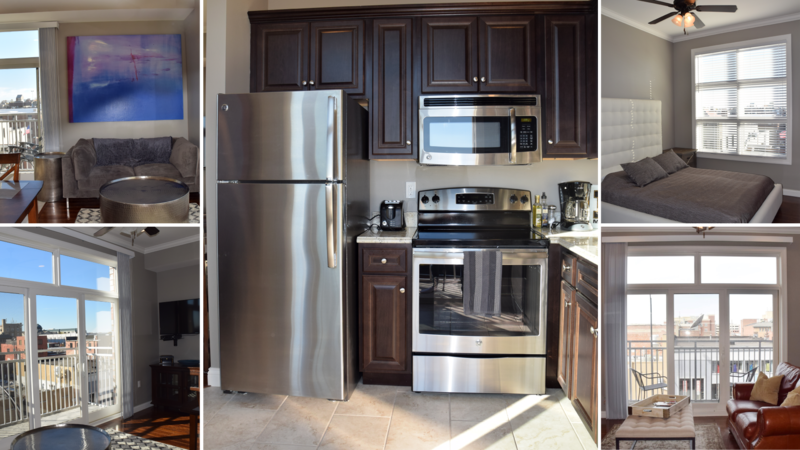 For more information, call our leasing office at 573-443-4521 or apply now! With our complimentary patio furniture, you can sit and enjoy the energy of Columbia right outside your window. Downtown parking is always an issue, to make life easier for our residents we have parking passes available for purchase to the Short Street garage. 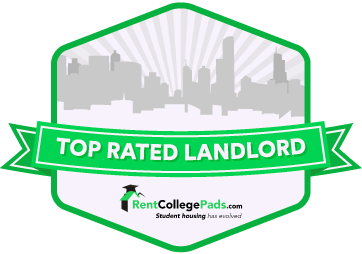 The Lofts on Broadway is only available for rent by working professionals and graduate students. Downtown Columbia is always busy. To ensure our residents are safe, The Lofts on Broadway has implemented a secure building policy 24 hours a day, seven days a week. Each resident is given access to the building using their key fob.